Over 150 internationally reputed pharmaceutical and medical companies from 10 countries will come together to showcase state-of-the-art Analytical, Scientific, and Biotechnology related instruments at the Sri Lanka Lab and Medical Expo. Serving as a platform for over 500 brands, the landmark event will also serve as an unprecedented hub for networking and knowledge sharing, drawing participation from leading international business leaders, government officials, doctors, policy advocates, industry professionals, scientists and researchers. Running from 18 August to 20 August at Sri Lanka Exhibition & Convention Center (SLECC), the Expo will commence with an inauguration by Minister of Science, Technology & Research, Sri Lanka Hon. 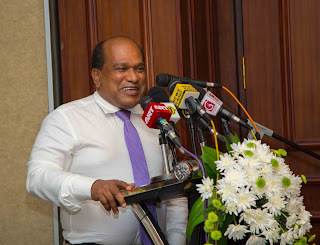 Susil Premajayantha and Minister of Megapolis and Western Development, Sri Lanka Hon. Champika Ranawaka. The exhibition is organised by the Sri Lankan Ministry of Health, Nutrition & Indigenous Medicine in concert with the Sri Lanka Society for Medical Laboratory Science, Institute of Quality and Productivity Management, Sri Lanka, Institute of Chemistry, Ceylon and S.D. Promo Media Pvt Ltd.
Intended to serve as a gateway towards comprehensively and sustainably improving the quality of equipment available to Sri Lankan hospitals, pathology labs, research institutes, pharma and food industries, universities, material testing labs, and trade suppliers, the event will link stakeholders with international leaders in Hospital and Surgical Equipment, Rescue & Emergency Equipment, Medical Disposables, Hospital Furniture, IT Service Providers for Hospital, Medical Waste Management, and Facility Management & Support Services. In connection to the main exhibition, a further two-day symposium organised by the College of Chemical Sciences (CCS) of the Institute of Chemistry Ceylon (I.Chem.C) will also take place at the same venue on the theme “Environmental Challenges for Sustainable Development: The Role of Chemists”. Commencing 18 August, the conference will identify and share practical, evidence-based solutions that can support the Sustainable Development Goals (SDGs) of value to government, academia, international agencies, NGOs, and grassroots organizers working to develop more sustainable and inclusive societies. Speakers will present evidence and share knowledge aimed at spreading a deeper understanding of current and emerging challenges to the Environment in Sri Lanka owing to improper chemical management, evaluate the strengths and weaknesses of current regulatory frameworks, and identify potential migratory and interventional actions towards a sustainable environment. Rounding out the symposium will be a full day conference on the theme: “Harmonizing Science, Engineering and Technology towards Quality Medical Laboratory Services” – an influential event ultimately aimed at streamlining supply of quality, innovative products through process improvement and continuous dialog between the industry and laboratory professionals. 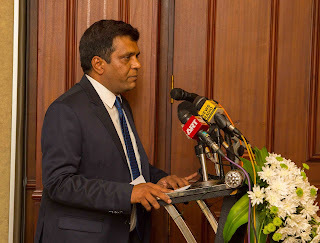 The Sri Lanka Lab and Medical Expo and its connected events is organised S.D. Promo Media Pvt. Ltd, a leading trade promotion organization based in India and serving the needs of laboratory, Scientific, Analytical, Biotech, Education, Pharma, and Medical sectors for clients across the globe. It is the first Indian company to deliver comprehensive, multi-faceted services to laboratories and the wider scientific community related to enhancing the visibility of clients through the provision of internet tools such as web based directories and other online promotional methods integrated with off-line tools like exhibitions, conferences, seminars and road shows. Having developed primary expertise in India, Africa, Middle East, South Asia and South East Asia, S.D. Promo Media has been the driving force behind numerous success stories for its clients in China, Dubai, Malaysia, Indonesia, Thailand and Germany. 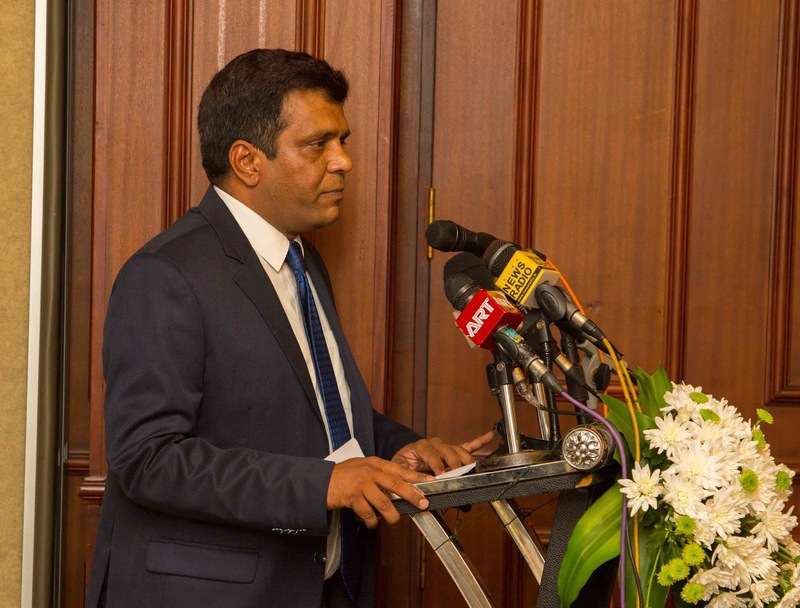 Organizers anticipate that the 2016 events along with the conference themes will not only provide an opportunity to commercially revitalize the laboratory and medical industry in Sri Lanka but will also inspire a new ideas, research and synergies.